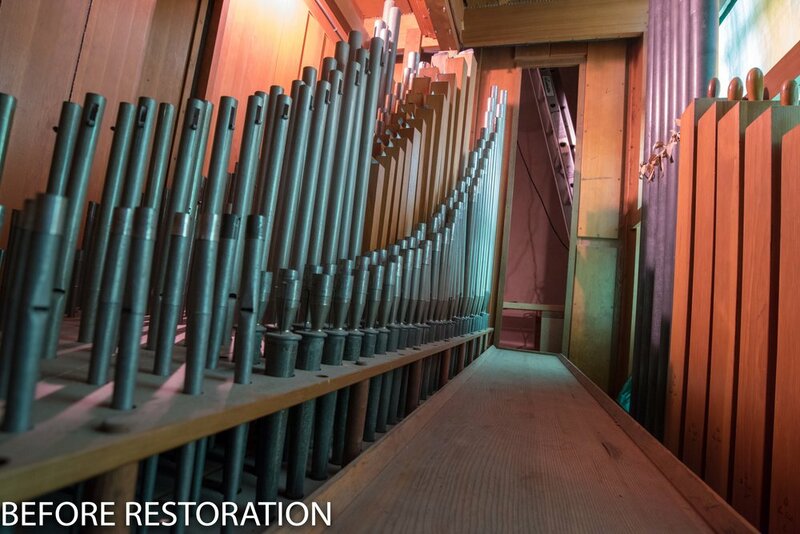 We have completed restoration of the Newberry Memorial Organ's Pedal Division and Console. Here are a few photos of the console and the 32' Bombarde! The console's shell undergoing refinishing. 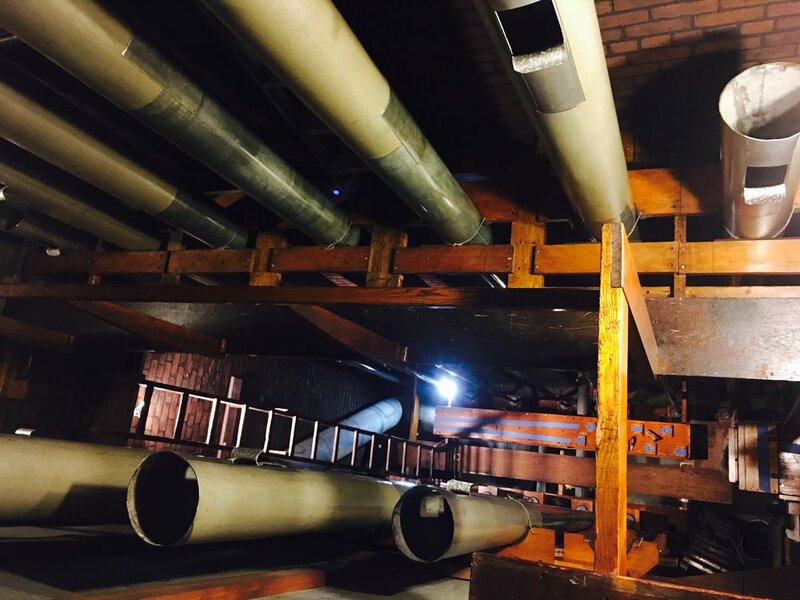 The A. Thompson-Allen Company is pleased to announce the start of an exciting new project. 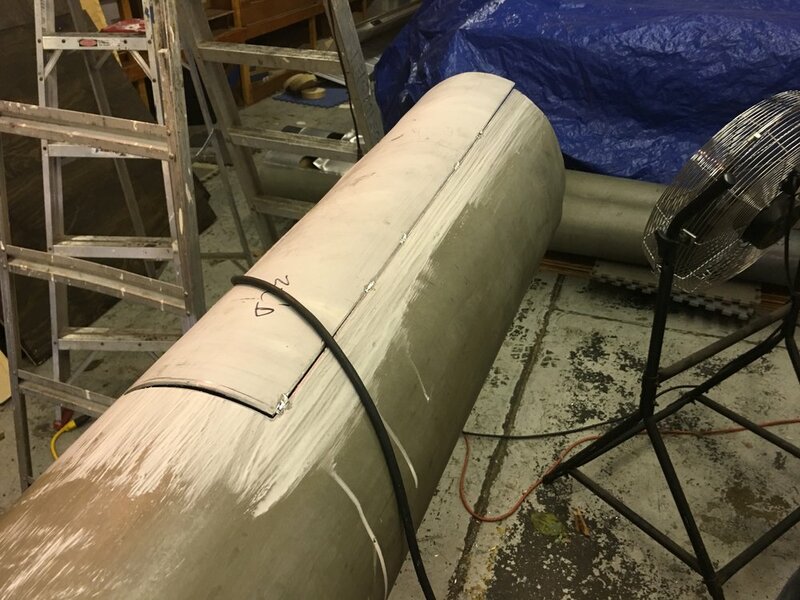 We are about to begin a full restoration of Skinner Opus 736, installed at the Church of the Blessed Sacrament in Worcester, Massachusetts. 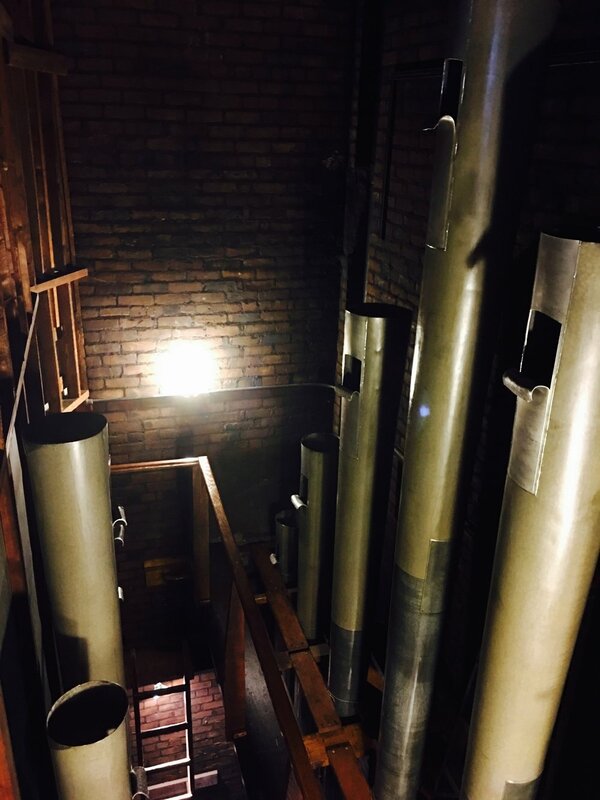 The Orchestral Division of the Newberry Memorial Organ has been reinstalled! Pictures to come soon. 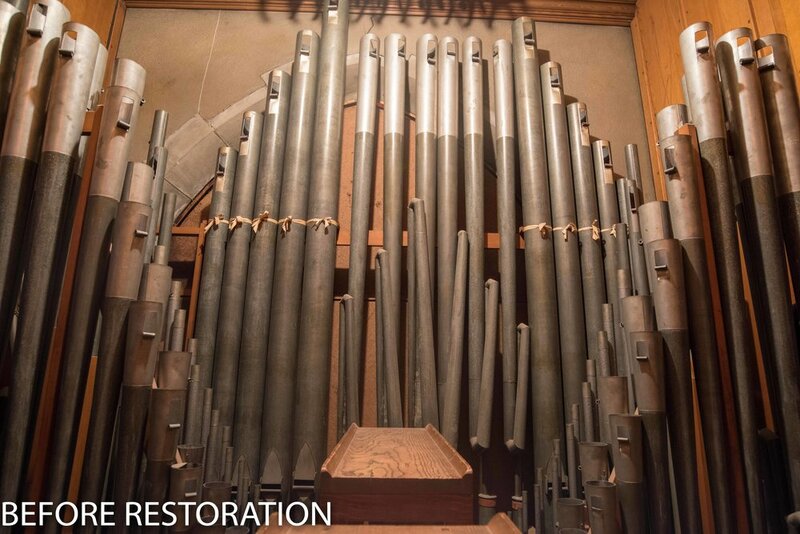 The City of New Haven will be hosting this year's Northeast Regional Convention for the American Guild of Organists. We are very excited. This city is our home and all but one of the concert venues have pipe organs that we maintain. All of the concerts are open to the public - and free! Please check out the convention's website for a full schedule. The two-rank "Jepson Diapason" on the voicing machine. Both ranks are 37 scale. They do, however, have different mouths (one-fifth and two-ninths). 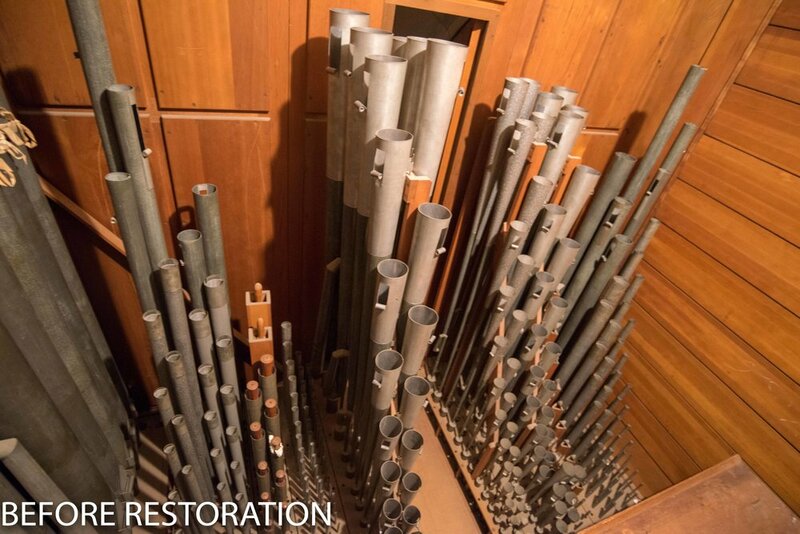 Now that we've finished removing the Solo Organ from Woolsey Hall, it's time to start rebuilding the components. Expect regular updates as we proceed!